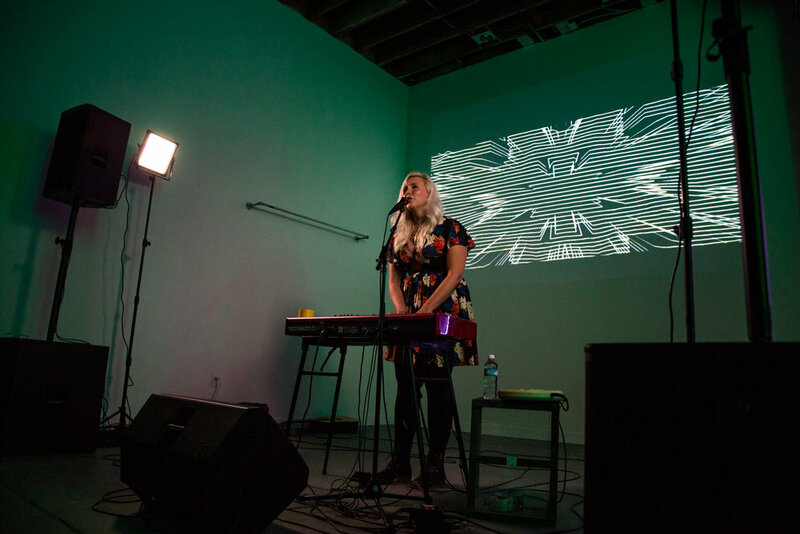 Simply stated Stephanie Maybe delivered a beautifully intimate performance during her EP release of 'I Still Taste Fire' at one of Salt Lake's newest venues, Ember. The room was engulfed in pure awe during the shows opener Goldmyth, this young local artist has an amazing talent playing the harp, singing, and utilizing a loop effects pedal. She is set to release her very own EP in the coming months! Stephanie Maybe delighted us with not only her phenomenal vocals, and intriguing song content, but with captivating otherworldly visuals put on by art director, Kyle Gibby. It's pretty damn hard to beat good music, good people, and all the good feels!